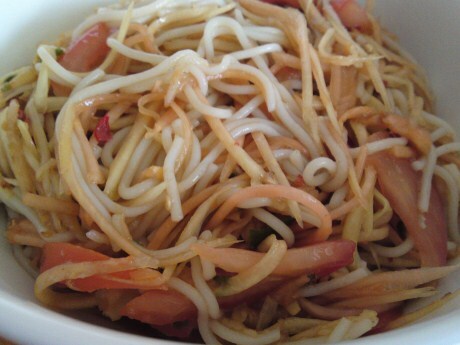 What a happy Friday it is to have my favorite dish for dinner. 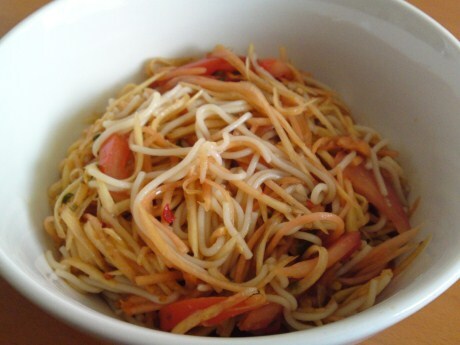 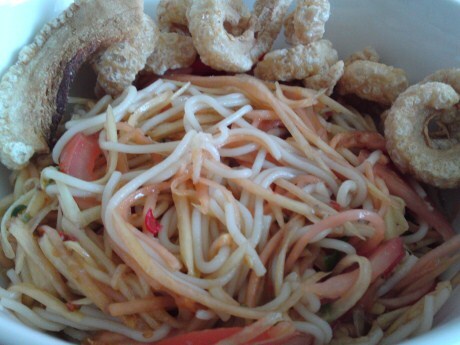 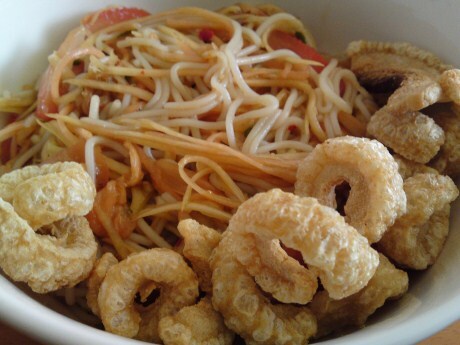 I made green papaya and noodle salad to go with kiep moo or pork rinds. 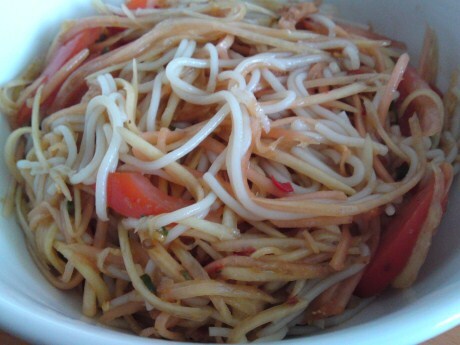 The papaya was a bit ripe so it was a sign of good luck. 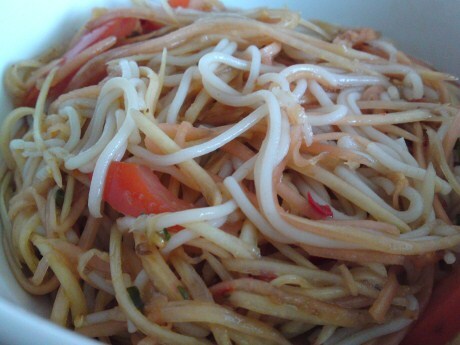 Well, that is a Lao saying anyway to buy a green papaya and it happened to be a bit ripe.